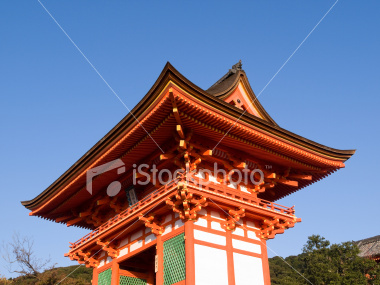 Kiyomizu Temple (Kiyomizu-dera, 音羽山清水寺) is a UNESCO World Heritage listed Buddhist temple in Kyoto, Japan. The temple’s origin dates back to 798, but the current buildings were constructed in 1633, which makes it one of the oldest temples in Kyoto city. 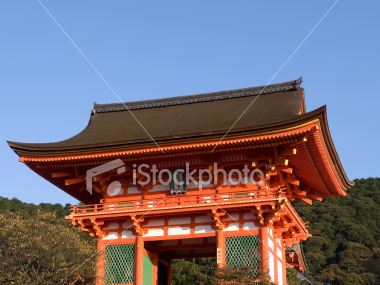 Main gateway of Kiyomizu Temple in Kyoto Japan. 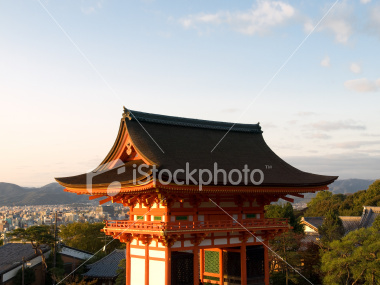 Gateway of Kiyomizu Temple in Kyoto Japan, with the mountains in the background. Kiyomizu Temple in Kyoto Japan, with the city of Kyoto in the background. 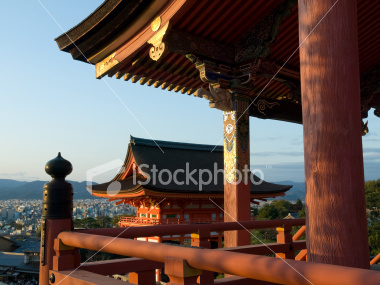 Kiyomizu-dera is one of the most famous and most visited temples in Kyoto. 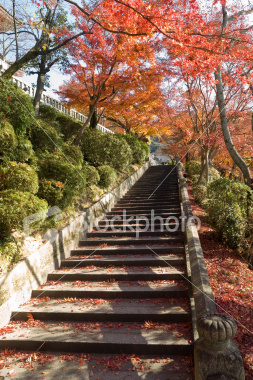 Stone steps covered in red maple leaves leading up to Kiyomizu temple in autumn. 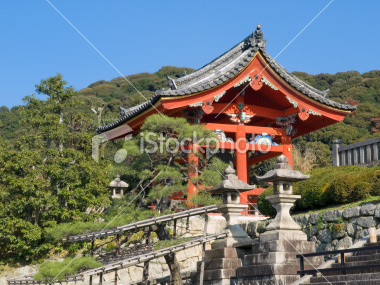 Bell shrine surrounded by trees of the gardens at the entrance of Kiyomizu Temple in Kyoto Japan. 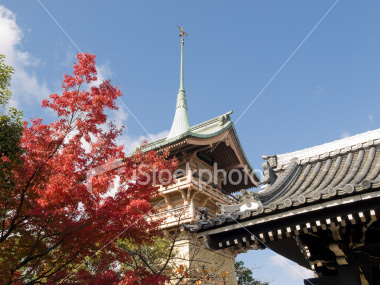 Gion Tower in Daiunin Temple during autumn. This temple for famous samurai is a popular sight on the way to Kiyomizu temple. 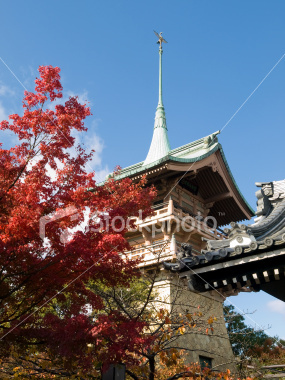 Gion Tower in Daiunin Temple during autumn. 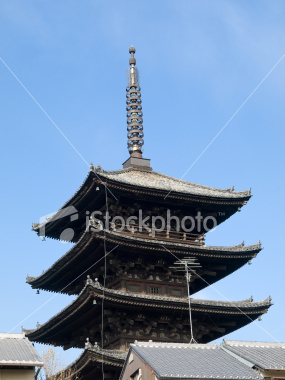 Yasaka pagoda tower, Hokanji Temple over the rooftops of houses near Kiyomizu Temple in Kyoto Japan.